The Basketball Spotlight Clash For The Cup 7th Grade Division had some great battles and some of the top players in the region. Here’s our final look at the top performers from this event. Drissa Traore Forward (PSA Cardinals)- PSA Cardinals recently produced some of the top forwards in the country including NBA player Chris McCollough, Thomas Bryant of Indiana University and Chieck Diallo of the University of Kansas. Traore seems to be another potential stud coming down the pipeline. The lanky forward has potentially oozing from his veins and even showed some ability to put the ball on the deck. Once he gets the proper strength and understands the game the sky will be the limit for this kid. He was one of the Top 3 prospects at this event regardless of class. Brayon Freeman Guard (New World)-He plays the game with a lot of energy. His motor, which never seems to stop, is a key component of the evaluation. Freeman doesn't mind emptying the tank and he's not concerned how he gets it done. He plays well in traffic and is capable of big scoring outputs at anytime from anywhere. Malachi Smith Guard (Gauchos)-Smith is a tough and competitive point guard that can shoot the ball with range. He is a knockdown 3 point shooter off the catch and has a pretty good pull up and can also straight line drive. He passes on time and on target and has a great feel for the game. He does a good job running the team and makes good decisions as well. Ryan Conway Guard (National Select)- Conway is a scoring guard with great range and feel for the game which allows him to help at the point. He can handle, pass and shoot and is a very complete guard especially on the offensive end of the floor led the age group in scoring nothing a 25ppg average. Jalen Miller Guard (Playmakers)-He's got a balanced way and approach to his game. Rarely forces and makes sound decisions. Patience and poise are buzzwords with his game. Also owns a middle game and creates for himself off the dribble. Like a QB, he surveys defenses and it’s no surprise he's poised with the basketball and in the decision making process. 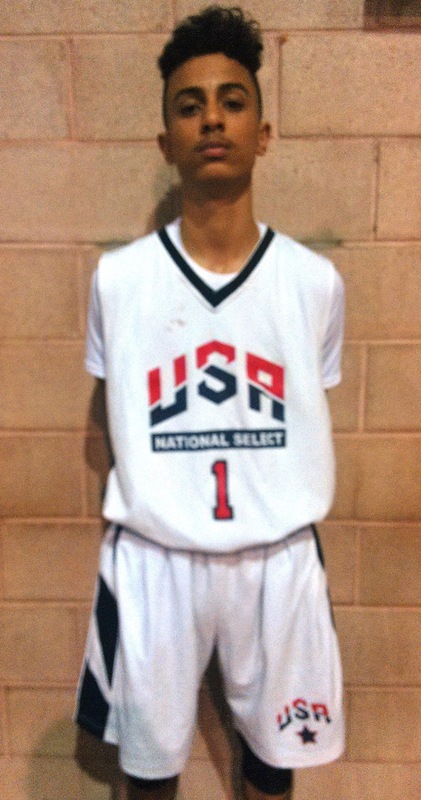 Demetri Stragalinos Forward (National Select)-He has a rangy frame with long arms and overall good length. He is a good athlete that can glide to the rim in transition. His stroke is smooth and his release is fairly quick. Each time out he took his game to another level. He does whatever his team needs for them to win. Demetri is a player whose stock is on the rise. 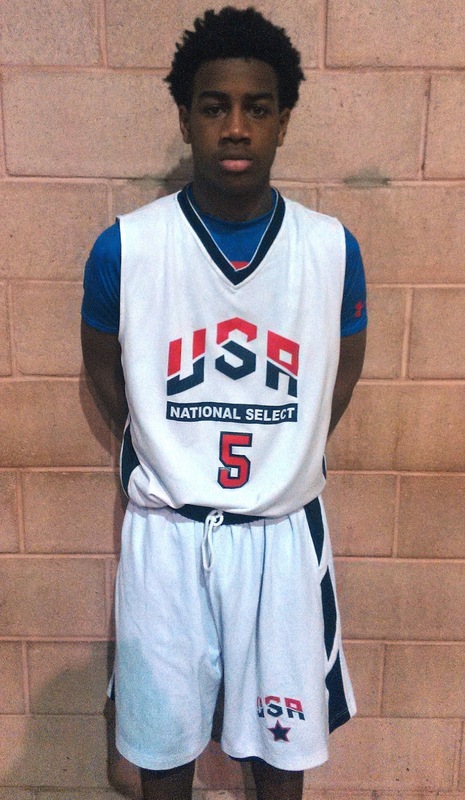 Elijah Hawkins Guard (New World Unlimited)- Hawkins has the heart of a lion in that small frame. He attacks at will sees the floor with the best of them. He also isn’t afraid to let it fly from anywhere on the floor off the dribble. He’s worth the price of admission. Tommy Anderson Guard (National Select)- Anderson is a pure scorer with a powerful body in the backcourt. He attacks the rim in straight lines, absorbs contact without problem, and gets himself to the free-throw line in high volume. He's lethal in the open court and also an excellent finisher who combines power, athleticism, balance, and body control around the rim.